"The South of Syria is facing a choice. It's either the reconciliation or the liberation by force. 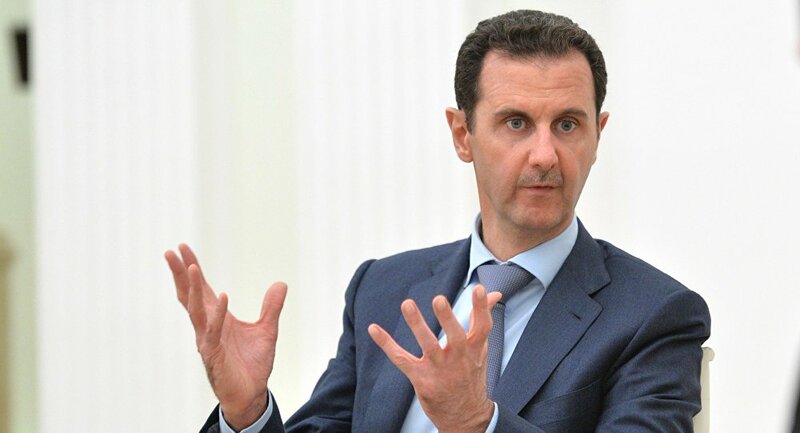 At this point, there are no obvious results [of the peace process] because of Israeli and US pressure on terrorists in that region, so that no reconciliation and peaceful solution could be achieved," the Syrian state-run agency SANA quoted Assad. Previous month, local media reported that Syrian government forces have been redeploying from Damascus and other parts of Syria to the southern front. The deployed forces were from the Republican Guard – an elite unit of the Syrian Army, primarily tasked with defending Damascus – and a paramilitary group associated with Syria’s intelligence apparatus, according to Al Masdar News. The offensive will reportedly aim to liberate the entirety of southern Syria, including territory near the Israeli-occupied Golan Heights, which has alarmed Israel. This month, an anonymous Syrian military source told Sputnik that “Hezbollah resistance fighters and other Iran-backed foreign militias” will play no role in the Syrian Army’s upcoming offensive in the area. Answering to a question about Hezbollah during the interview to al-Alam TV, Assad said that "Hezbollah is a basic element in this war – the battle is long and the need for these military forces will continue for a long time. When there is a need, and when Hezbollah, Iran, or others believe that terrorism has been eliminated, they will tell us that they want to go home". Syrian leader also stressed that there were no Iranian military bases in Syria, adding that they would be allowed if there's a need.